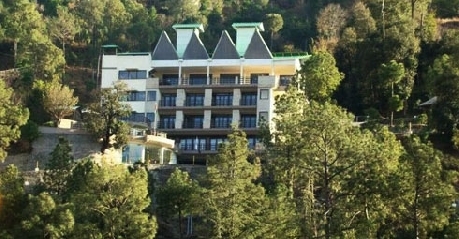 Flag House Resort Shimla is situated in Junga which is 16 Kms away from Shimla. This resort is ideal for nature lovers and offers peaceful and serene atmosphere for the guests. 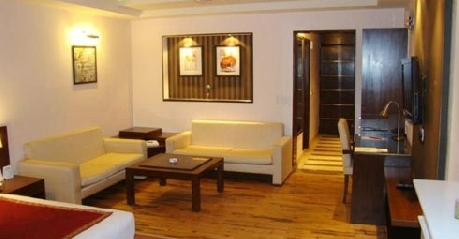 The major advantage of the hotel is its location which makes it proximity to Shimla’s major tourist attractions. 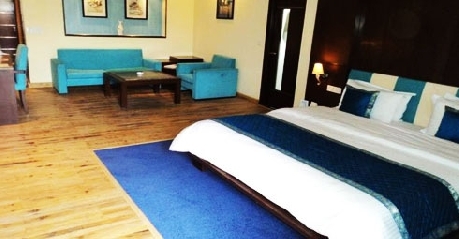 The hotel is owned and managed by Flag House Hospitality & Resorts Pvt Ltd. The hotel offers five kinds of accommodation namely Standard Room, Superior Room, Executive Room, Executive Suites and Swiss Tents. The hotel has a multi-cuisine restaurant as well as a roof top restaurant to cater to the culinary needs of the customers. The hotel has a conference/banquet hall which could be used for conferences, workshops, seminars, birthday parties, small family functions, etc. The hotel also has got facilities for library, gym, indoor and outdoor games and garden. The hotel also arranges for trekking, bird watching, night safari, paragliding, skiing, etc. The hotel also arranges for sightseeing trips. This hotel is the smart choice for both business and leisure travelers. 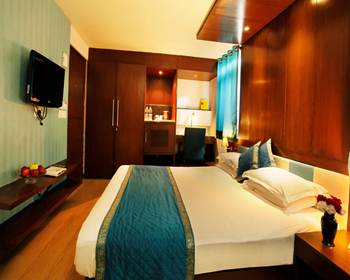 These are elegant, well furnished and well maintained rooms. These rooms are ideal for those who look for an accommodation in strategic location. 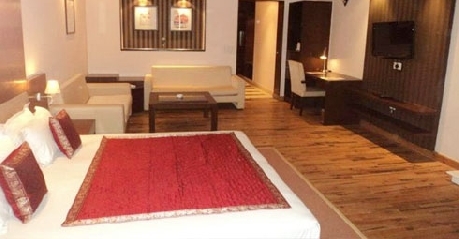 These rooms are also provided with amenities such as attached bathroom with hot/cold water, air conditioner, shower cubicle/bathtub, 24 hrs room service, newspapers, internet, housekeeping, heater (in winters), laundry/dry cleaning, tea/coffee maker, safe deposit lockers, television with satellite/cable connection, telephone with direct dialing, mini bar, desk, refrigerator, toiletries, bathrobe, packaged drinking water, complimentary breakfast, doctor on call, parking and much more amenities. These rooms go by their names and are superior in all respects. 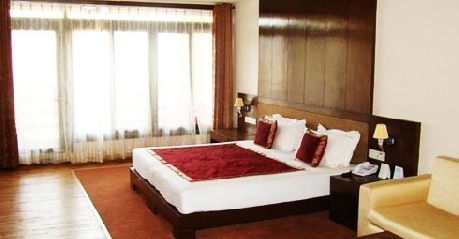 These are much spacious, well furnished and come with a balcony that offers wonderful view of the valley. These rooms are ideal for those who look for a large accommodation. Further these rooms come with amenities like air conditioner, heater (in winters), shower cubicle/bathtub, attached bathroom with hot/cold water, 24 hrs room service, internet, newspapers, housekeeping, tea/coffee maker, laundry/dry cleaning, television with satellite/cable connection, safe deposit lockers, mini bar, telephone with direct dialing, refrigerator, desk, bathrobe, toiletries, complimentary breakfast, packaged drinking water, parking, doctor on call and other facilities needed by the guests. 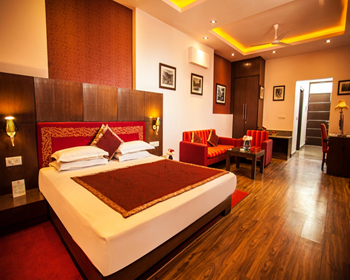 These rooms are spacious, luxurious, well furnished and well adorned. 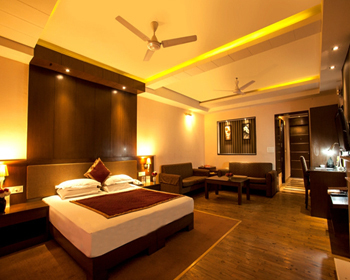 These rooms are ideal for those who look for a lavish accommodation. These rooms also come with a balcony that faces the valley and offers breathtaking view of the same. Further the amenities available are 24 hrs room service, shower cubicle/bathtub, housekeeping, attached bathroom with hot/cold water, newspapers, internet, air conditioner, tea/coffee maker, television with satellite/cable connection, laundry/dry cleaning, mini bar, heater (in winters), safe deposit lockers, refrigerator, telephone with direct dialing, bathrobe, complimentary breakfast, toiletries, parking, packaged drinking water, doctor on call, desk and many such facilities. 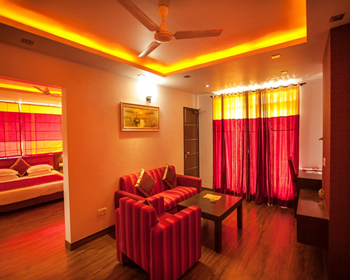 These are elegant, spacious, luxurious and well furnished rooms. These rooms come with a separate living room, a bedroom and a balcony. From the balcony, the guests can have splendid view of the valley. These rooms are ideal for those who travel with their family or those who want large and spacious rooms. These rooms also come with amenities such as housekeeping, 24 hrs room service, attached bathroom with hot/cold water, internet, shower cubicle/bathtub, tea/coffee maker, newspapers, laundry/dry cleaning, safe deposit lockers, air conditioner, mini bar, television with satellite/cable connection, bathrobe, telephone with direct dialing, refrigerator, parking, toiletries, packaged drinking water, heater (in winters), desk, doctor on call, complimentary breakfast and many more amenities. These are canvas tents that are also spacious, elegant and come with all luxuries. These are ideal for those who want to spend their vacation/holidays by staying close to the nature. 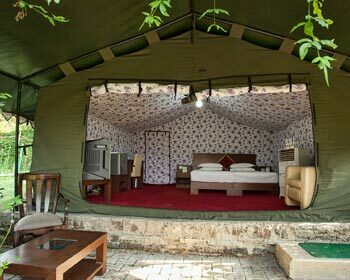 These tents are also provided with amenities like tea/coffee maker, housekeeping, attached bathroom with hot/cold water, newspapers, internet, shower cubicle/bathtub, laundry/dry cleaning, 24 hrs room service, air conditioner, safe deposit lockers, television with satellite/cable connection, mini bar, telephone with direct dialing, bathrobe, parking, refrigerator, packaged drinking water, heater (in winters), doctor on call, desk, complimentary breakfast, toiletries and all other facilities needed by the guests. The 24 hrs delectable on-site multi-cuisine restaurant serves Indian, Chinese and Continental cuisines. The restaurant also serves delicious local cuisines to its guests. All the food served is mouth watering and will be a feast to your appetite. During your stay at the hotel, make the most of it and taste the delicious food and the taste of it will linger in your mouth. This restaurant provides wonderful view of the valley and the pleasant climate makes it an ideal place to dine in the night. 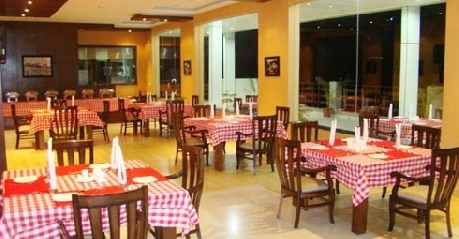 This restaurant also serves delectable multi-cuisines of India, China and Continental cuisines. This restaurant is also ideal for barbeque and candle light dinner. The food served is sumptuous and a feast to your palate. You can enjoy the stars and the moons and can have your food. The chef also keeps experimenting to provide the guests with some exotic and exquisite delicacies. The restaurant also offers room services so that the guests can order the food to their room itself. The restaurant is opened to non-resident guests also.